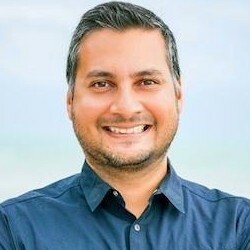 The most popular types of email sent by marketers during the holiday season (October to December) are "percentage off" and "dollar amount off" offers, yet consumers often do not differentiate those from standard mailings, according to a recent report by Experian Marketing Services. 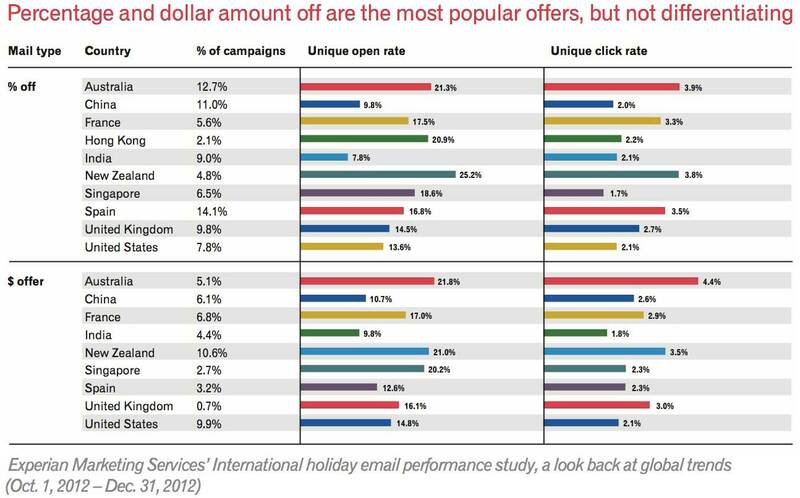 In Spain, "percentage off" email campaigns actually performed worse last holiday season than standard mailings. 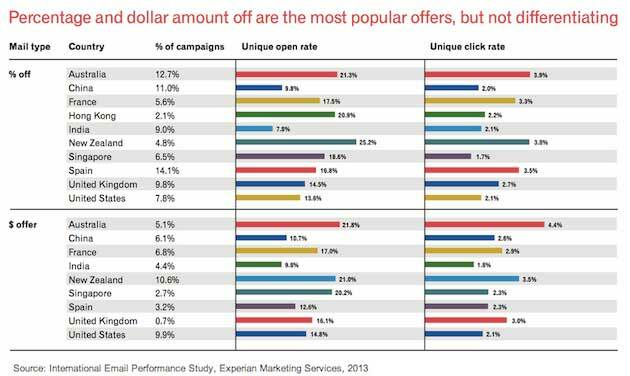 Marketers in New Zealand and France rely most on "dollar/euro off" promotions. Yet, despite the high proportion of campaigns promoting discounts in the subject line, those messages also had lower open and click rates than average campaigns. Below, additional key findings from the International Email Performance Study, which examined more than 100,000 email campaigns in Australia, China, France, Hong Kong, India, New Zealand, Singapore, Spain, the United Kingdom, and the United States, sent between October 2012 and the end of December 2012.